I use SSL for both sending and receiving email, and my mail server uses a self-signed certificate. 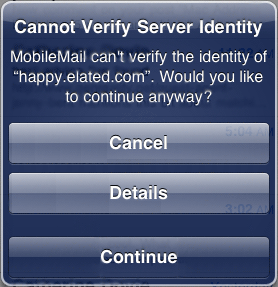 It sounds like this is a common problem with iOS 4.2.1 and self-signed certificates. Some say it’s a bug, while others say it’s Apple’s intended behaviour with self-signed certs. One thing’s certain – it’s frickin’ annoying! Well, despite speculation to the contrary, Apple recently approved Opera Mini on the App Store, so you can now download it for free and use it as well as (or instead of) Safari on your iPhone. So how does it stack up? 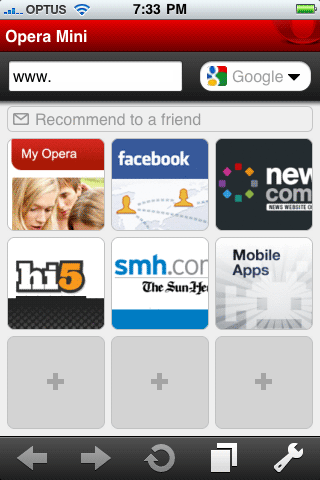 Here’s my in-depth review of Opera Mini on the iPhone. 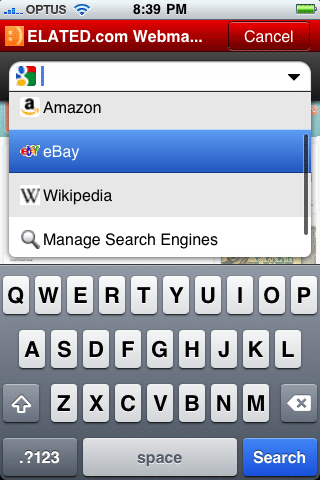 Opera has a search field top-right, just like Safari. However, rather than just searching Google, Opera also lets you search Amazon, eBay and Wikipedia, and you can add your own search engines too. Nice touch. 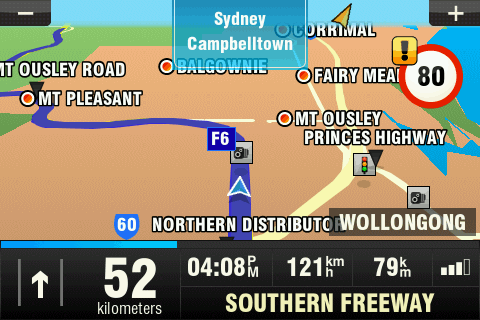 When I first bought my iPhone in 2008, I was looking forward to turn-by-turn navigation thanks to its built-in GPS capability. Unfortunately the built-in Maps application can’t do turn-by-turn (although it can plot you a route and give a list of directions). What’s more, Apple’s SDK agreement prevented developers from selling their own turn-by-turn apps on the App Store. 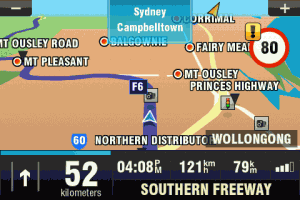 However, with the release of iPhone OS 3.0 last year the restriction on turn-by-turn navigation apps was lifted, and since then we’ve started to see some very capable apps appearing for iPhone. Last year Electronic Arts released an iPhone version of the popular Trivial Pursuit trivia quiz game. Here’s my review of the “International” version of the game (I’m not sure what the other versions are called). The game features a single-player option, as well as 2 multiplayer options: “Pass ‘n Play”, where each player takes turns with the same device, and “Wi-Fi Multiplayer”, where each player has their own device. A basic question pack is included, and you can also buy additional packs within the game. 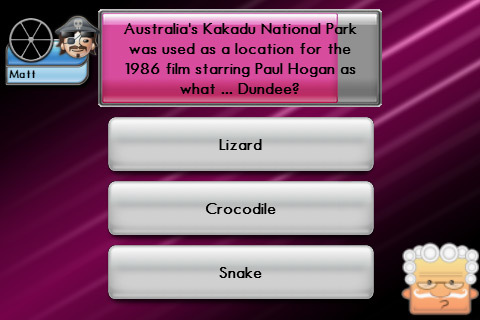 The questions are all in multiple-choice format, with 3 options given. 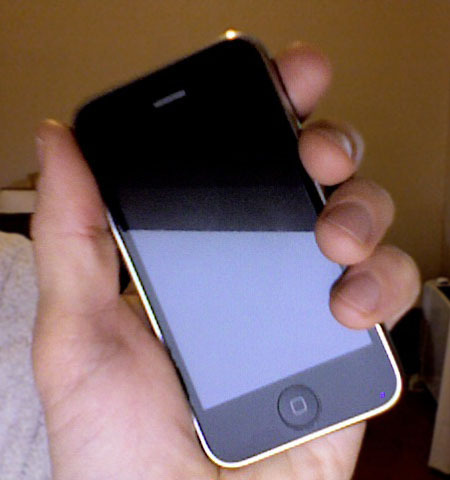 Most questions are text-based, although sometimes an image is shown along with the question. 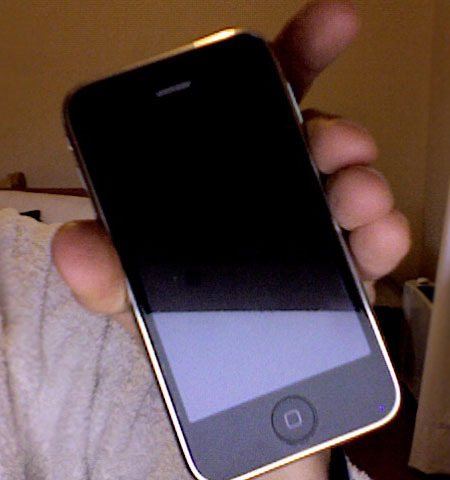 Is it just me, or does iTunes come up with a different excuse for not syncing with the iPhone each and every day? Don’t get me wrong – syncing is pretty reliable on the whole, and whenever an error does occur, a resync or reconnect usually sorts it out. Still, I’m amazed at the sheer number of things that can apparently go wrong during syncing. It doesn’t exactly inspire confidence, does it? I must get an error dialog of some sort at least once a week.